A sample of this NAS cask strength Macallan (at 60.1% ABV) was part of a very generous birthday gift from @paddockjudge. The colour is one of the deepest and reddest I have ever seen in a whisky - almost like cola. On the nose we have black cherries, charred oak, Angostura bitters, buttermilk and dark cocoa. Blackberries, dates and plums. Walnut. Smoked paprika. Water explodes the cask even more with big fat oak, sherry and spice. A little closed, and yes the cask dominates the malt, but satisfyingly rich. Hot on the palate with huge oak, more spices (smoked paprika again but also cayenne and cumin) and very dark fruits (dates, prunes, sultanas). Creamy. Very herbal with mint, fennel and thyme. Extremely rich Oloroso here. Amazingly, the cask is more balanced with the malt here on the palate than on the nose, especially with water. The finish is oaky with more Angostura bitters, chili spices and very dark chocolate. If you love your sherry bombs, then by God look no further. Although the light fruity malt that is Macallan is missed here, you can't beat this sherry cask, which (like the Double Cask 12 Year Old) shows no trace of sulphur. Surprisingly, this never feels like it's 60.1% ABV. Highly recommended if you can find it! Macallan Cask Strength Berry Nice! This is truly an excellent expression, and I'm glad I picked up a couple before they were gone. If not for @paddockjudge in 2014 I could have had 6 more, but then again, if not for him, I'd never have tried it or looked for them. Although I've expanded my horizons a lot since I started, sherry bombs were my first love in whisky. Though I have lots of Bladnoch and A'Bunadh, this one has some sort of prune note or other dried dark fruit that I've only found in Macallan CS. Macallan CS was the first whisky that I found to be incredibly freakin' awesome when I started trying different styles at little café tastings here in Madison around 2009. For a long time, it was the whisky that I fantasized about splashing out for if I could ever afford that huuuuge price tag. @MadSingleMalt, that is a very sad story. 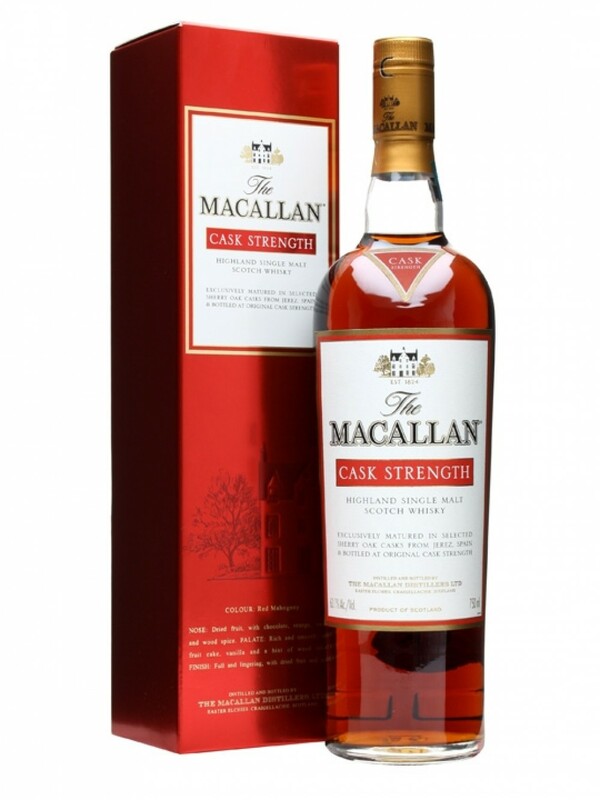 Macallan Cask Strength is made "in the Void of Infinity in the Castle of Eternity". It truly transcends Time, It is NAS. @paddockjudge And you, sir, are a gentleman, a scholar and a poet. ...and hopefully, someday, Macallan will repair its Chronosphere....before the new distillery opens? @paddockjudge One can only hope... Who knows what will come from the new stills? @Nozinan My predication? Spirit that is run off too fast and bottled too soon. But I hope I'm wrong. 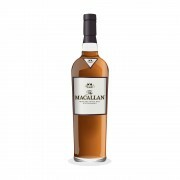 I still feel that great Macallan is some of the greatest whisky bottled, and I can only hope that newer Macallan will become something like its former self. @talexander I hope so too, but I worry that the number of distilleries choosing tradition of quality over big bucks is shrinking. We lost Bladnoch, Bruichladdich.... what's next? @Nozinan Did we? I reserve judgement until I taste some new Bladnochs, Port Charlottes or Octomores. After all, anything is possible. The first whisky with which I had my "WHAT IN THE BABY BLUE BLAZES" moment. Older bottle when they had the 10 still on it.